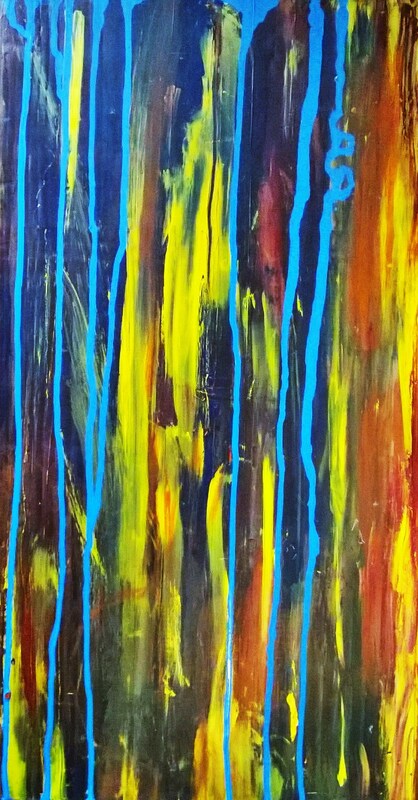 Liquitex Artist Acrylics-Permanent Pigments on Wood Plank. #1 of 3 in a series of bench seats I created for family use. Commissions welcome.